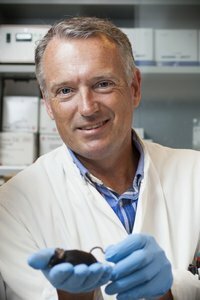 Brain scientist and head of center at the DNRF’s Center for Proteins in Memory (PROMEMO), Anders Nykjær, has just received a grant of 15 million DKK over the next five years from the Lundbeck Foundation. The new project aims to understand the mechanisms underlying the role of the receptor sortilin in regulating memory and our emotional state. PROMEMO began operations at Aarhus University on December 1 of last year. The center aims to uncover precisely which proteins play a role in long-term memory and how these proteins interact. Read more about PROMEMO here. Read more about the new project and grant here.